Breakthrough Internet Streaming Karaoke Machine. Brand New Experience! 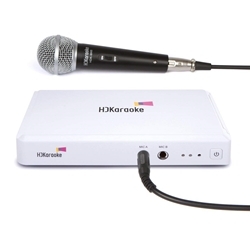 HDK Box is the smartest Karaoke machine. 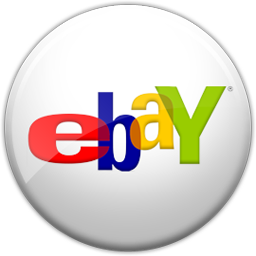 It integrates the most advanced internet multimedia technologies. HDK Box incorporates the powerful Sigma Design processor, offers full support for Ethernet (LAN), wireless networks (Wi-Fi) connections, 1080p Full HD video output, iPhone/iPad/Android control applications and a variety of media formats. Its high-quality, slim, lightweight body allows users to sing and share a new entertaining experience with their friends and family anytime, anywhere. HDK Box 2.0 is now smarter than ever. New features include MP3+G files playback support and Singing Recording Feature and Instant Sharing to Social Sites. HDKaraoke is one of the first companies to offer users an iPhone/iPad/Android app. Users can use their smart phones and tablets to control the selection of songs and all other operations. There is no longer any need to use a remote and a songbook or an additional touch screen to make singing karaoke so much fun. Supports Ethernet (LAN) and wireless networks (Wi-Fi) connections. HDK Box 2.0 automatically updates songs weekly. Manually adding songs is no longer necessary. Keep up with the new releases. HDKaraoke receives supports from American Service providers and Asian major and independent record companies and provides licensed digital music and video content. It features a very large karaoke music content portal in North America to provide over 7,000 English karaoke videos as well as many thousands of karaoke videos (Chinese, Taiwanese, Cantonese, Vietnamese and Filipino) to the Asian market. *English karaoke videos are continuously being rendered into HD quality. In total, 15,000 songs will be gradually added into the library.